Pad Printing Machines | Tampo Canada Inc. There is also an option of converting to a different printing unit at a later point in time , saving resources. The basic “TSM” machine is always the same. The rotary tampon printing is a special variant of the tampon printing and since 1981, a specialty of our company. By arranging several rotary tampon printing units one after another, high-quality multicolour prints can be produced. 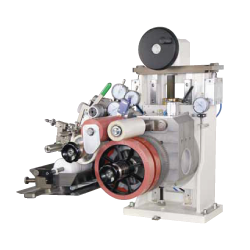 The rotary printing is used for cylindrical and plane moulded parts or partial surface areas. Alongside the colour transfer used in marking and decoration print images, the primer, medication, glue, and infrared absorbing lacquers are transferred on different surfaces. We offer 3 different rotary tampon printing units and a stand-alone solution for you to choose from.